DOFUS is now available on STEAM! - Forum - DOFUS: the strategic MMORPG. DOFUS is now available on STEAM! 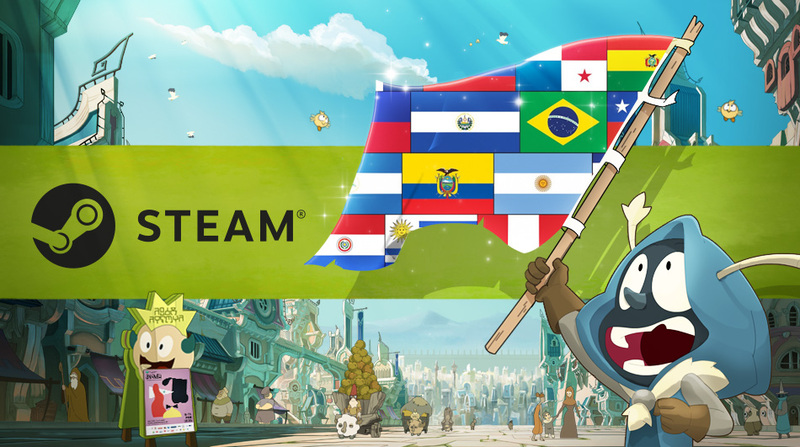 Ankama is pleased and proud to announce that as of today, DOFUS is available on the Steam platform! It's been a long time coming, but we're finally here! It's time to introduce a new audience to the Krosmoz that you've all helped to grow and support, and we hope you're as excited as we are! And as a special request, please take some time out of your day to greet our newcomers and answer their questions. Maybe even go up to Incarnam for a visit or two (who knows, there may be some fun surprises for non-newbies waiting there)? We know you'll make these new adventurers feel right at home! Thank you all for your continued patience and love through this process. 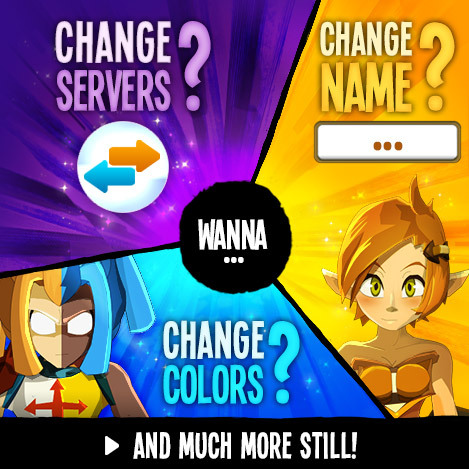 It's no secret that YOU are the best part of DOFUS! And of course, joining forces with Steam means that we have some special offers for you! Steam players can use all Steam payment methods, including Steam Wallet credit. -Gravestorm- is correct (thank you), however we will work on getting you the exact list of countries as well. Is this a worldwide launch or just for the LATAM community? Coming back with more information as this was a launch for all except French speaking countries. At least they removed it from being listed as linux compatible. I guess that's one way to fix that they never shipped a linux version for steam despite having a linux client, and listing it on steam as compatible. This is seriously a huge thing for Dofus Universe. .
Really excited and anxious for everyone. .
Wishing everything goes well. . This is huge but we as a community should go to steam and leave our reviews there to try to raise the current "mostly positive" to a better rating, this is the best chance in a while to get new players into the game in a while! I've left mine already pointing out the f2p content is not enough but 5€ is more than a fair price and also advising to try out the mono acc server since that is the best option to find someone to play along. Finally! Gotta go write a review for the new people. I would like to recommend to contact the support service team so that they can properly assist you with your DLC, however please feel free to also share your ticket number with us so that we can do a follow up for you. Thank you for your ticket numbers Exilenose, and we will do a follow up for you with the team. You made two tickets (instead of one) two days ago. Yesterday you shared your ticket number (in the wrong section and a thread that isn't yours). Sabi reacted to your ticket number at 18:42 hour yesterday, when the support team is long gone into their weekend. You won't get reaction from support until atleast monday, there will be no one from support at the office over the weekend. And please edit your posts and dont double post again and again, this is normally against the forum rules. 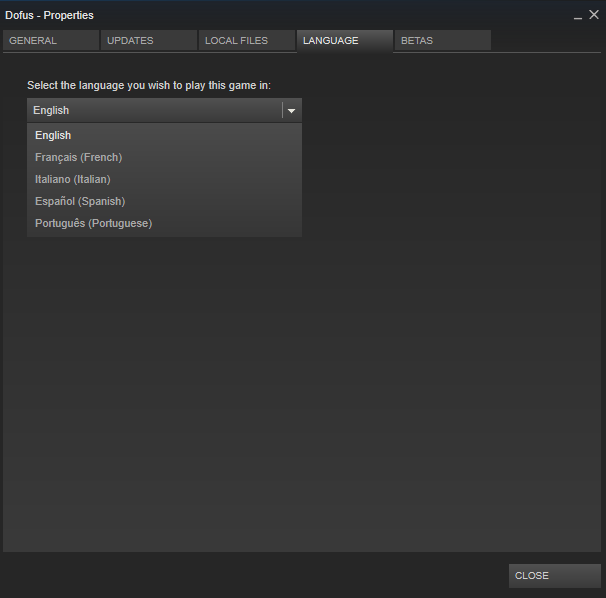 Can't change the steam game version to German, Russian, Dutch or Japanese despite them being advertised as available. Thank you for your report, it has been shared with the team to check with Steam on the missing languages. sooo.. steam achievments will only work with "fresh" characters and not characters that already got the achievments.. Whoa!!!! just swapped characters and BAM!!! 314 achievments unlocked!! Thank you Marleen for letting us know, and after checking with the team, we have been made aware that it isn't a bug currently as Steam achievements are unlocked when the reward are accepted. Please let us know if they still don't work for you after doing so. Thank you in advance. Everytime I try to connect my steam to my current ankama account, it tells me that my info is incorrect. Anyone else have this issue? Please do not hesitate to contact the support service team if you have any troubles connecting with your account. Also thank you for letting us know so that we can keep an eye out for any other reports. Thank you for reaching out to us, could you please share with us your ticket number? We are continuing to check on this with the team and will be sharing an update as soon as we get more information, thank you for your patience, and please do not hesitate to report to us anything you might feel needs to be checked on. Thank you in advance.